After the creation of the Royal Manufactures of sheets by Colbert at the end of the seventeenth century, the southern slope of the Montagne Noire became a privileged place for tourist thanks to its numerous rivers, mainly the Dure. 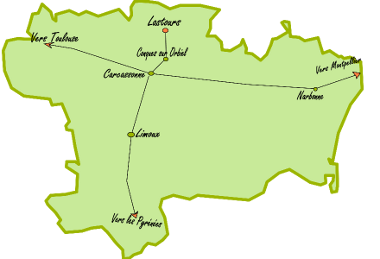 The paper mills thus prospered and became the most renowned in the Languedoc region. During the nineteenth century, paper production was booming, the commune of Brousses possessed about ten paper mills in 1845. Brousses is recognized as a paper mill in the former province of Languedoc since the end of the seventeenth century. At the beginning of the twentieth century, industrialization was organized to regroup in modern factories the production, the crafts became less and less profitable, the mills start closing one after the other. In 1981, the activity of the Moulin de Brousse stops completely, a few enthusiasts create in 1993 “The Association of Moulin de Brousses”, restore the site to perpetrate the tradition, make it a place of discovery, initiation, Creation and manufacturing to perpetuate seven generations of know-how. In 1994, the mill opened its doors to the public, it is visitable 363 days a year, it now employs five employees.